Buy More Time to File your Personal Income Taxes by Efiling Form 4868! This entry was posted in Efile Extension, efiling Efile 4868, Extension form, Extension Tax, Form 4868, Form 4868 efile, IRS Extension, Online Extension, Tax Extension and tagged April 18th, Automatic 6 Months Extension, Efile Form 4868, Extend your Deadline, Extension of Time, File Later, Form 1040, Form 4868, IRS, IRS Extension, Personal Income tax, Personal income tax extension on March 30, 2017 by TaxExpert. Hey guys, hope you all are geared up for a great Christmas and are ready enjoy your holidays. We not going to be lying, WE DEFINITELY ARE GOING TO HAVE A BLAST. It is amazing to be at home. There is going to be a lot of fun and entertainment. Also many of you would agree, the best part of the holidays is being able to be with family & friends. Even though we may miss few of them physically, just being able to talk to them over the phone would be great enough. Sharing stories with them, knowing that they’re OK, was the gift delivered on time. We may miss them so much, but will be able to see them soon. Another great part of Christmas is of course… the presents, DUH!!! Even if you are away from your beloved ones thank your friends their families for letting you share Christmas day with them. It will be such a cool experience and a huge privilege as well. For them to take you into their home and make sure that u didn’t spend Christmas and they didn’t have to do it. That’s one of the many reasons that we need friends for life. Oops.., before we wind up, here is your other family www.extensiontax.com wishing you the best ever Christmas. We are more than a family as we do not forget each other; year after year you come back to our website to E-file your extensions. In a way “WE ARE FRIENDS FOR LIFE”. 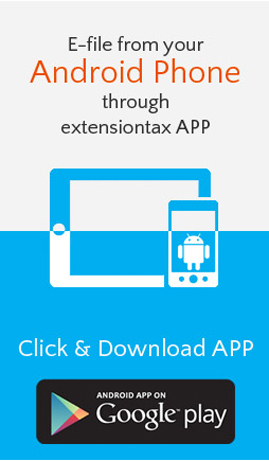 Stay in touch Call: 866-245-3918 or write to support@extensiontax.com . This entry was posted in Tax Extension and tagged exempt Organisation, extension form, file extension online Efile Extension, IRS, Online Extension on December 21, 2015 by TaxExpert. In all probability, IRS will accept most of the extension requests that you file through IRS Form 4868, Application for Automatic Extension of Time to File U.S. Individual Income Tax Return. As a rule, it takes 24-48 hours to validate your extension application to term it as accepted or rejected. Even though the extension form is very short and easy to file on, it’s still possible to commit mistakes. 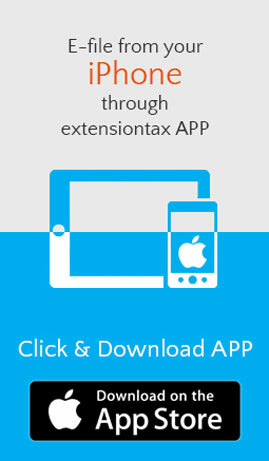 Whenever you file an extension with extensiontax, we will update you with reason, in case if IRS rejects your demand. We will also notify you with resubmitting instructions via call/mail. Let’s look over some common reasons that compel IRS to reject your tax extension application. A major number of requests get refused because of the name and social security number that you give incorrectly by mistake. If those details do not match with your recently filed name or SSN, your application turns down. An adjustment that you didn’t inform IRS about. You might have changed your name due to marriage, divorce etc after your last e-filing with the IRS. So IRS cannot map your tax info to your extension request. A mismatch between the Adjusted Gross Income (AGI) amount entered and IRS records. 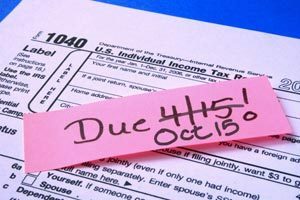 Forgetting to update IRS about your status can also lead to Form 4868 rejection. 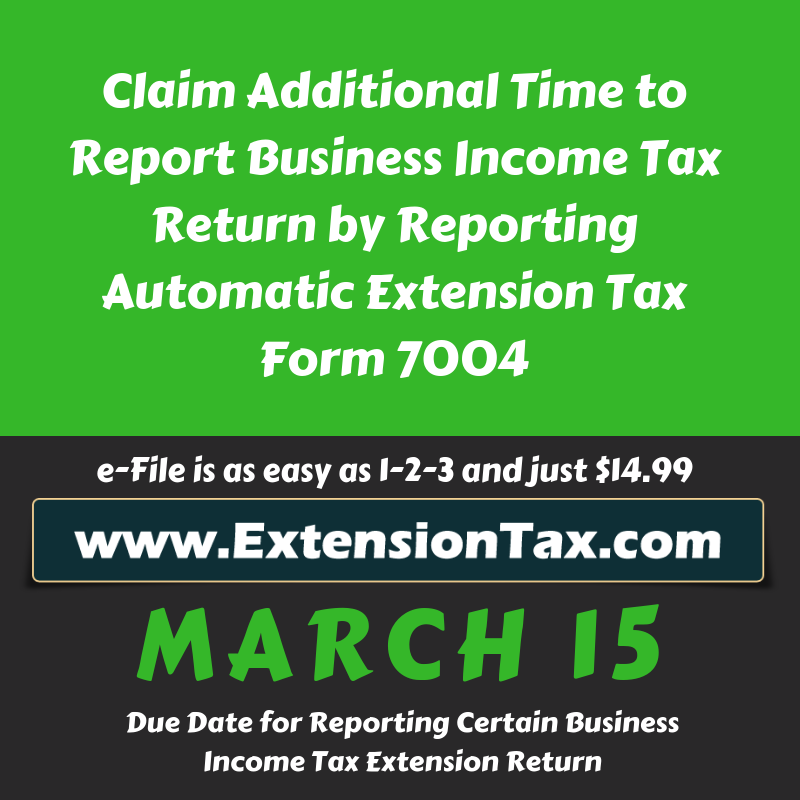 So always file an extension before deadline with right data, update IRS about the tax info changes and be in peace. IRS will likely approve your demand. Filing with extension tax can be a better choice, since we can help you whenever your extension gets rejected. Remember! You can re-apply for an extension, but you may have fines and dues if you don’t file earlier. Hence, file an extension earlier and you will have enough time to re-apply if your extension request gets rejected. Call us at 1-866-245-3918 for any support, no matter when! This entry was posted in Efile Extension, efile income tax extension, efiling Efile 4868, Extension form, Form 4868, Form 4868 efile, IRS Extension, Tax Extension and tagged 4868 rejection, Efile Extension, Extensiontax.com, Form 4868, Income tax Extension, IRS on January 24, 2013 by TaxExpert. If you have too little federal tax withheld from your pay, you could end up owing a lot of money when you file your taxes. If you withhold too much, you will get a large refund next year, but that means you gave up the use of your money for several months during the year. You may want to adjust your federal tax withholding with your employer. You should also evaluate your withholding if you have recently married or divorced, added a dependent, purchased a home, changed jobs or retired. The withholding calculator at IRS.gov can help you figure the correct amount of federal withholding and provide information you can use to complete a newForm W-4, Employee’s Withholding Allowance Certificate. This entry was posted in efiling, Extension Tax, IRS Updates and tagged IRS, IRS Alert, IRS Withholding Calculator on July 20, 2011 by TaxExpert. Taxpayers should make sure they are aware of many important changes to the tax law before they complete their 2010 federal income tax return. Here are several important changes that the IRS wants you to keep in mind when you file your 2010 federal income tax return in 2011. Health Insurance Deduction Reduces Self Employment Tax In 2010, eligible self-employed individuals can use the self-employed health insurance deduction to reduce their social security self-employment tax liability in addition to their income tax liability. As in the past, eligible taxpayers claim this deduction on Form 1040 Line 29. But in 2010, eligible taxpayers can also enter this amount on Schedule SE Line 3, thus reducing net earnings from self-employment subject to the 15.3 percent social security self-employment tax. This entry was posted in efiling, IRS Updates and tagged Easy Extension, Efile Extension, efile extension tax forms, express extension, Extension Tax, Extensiontax, Form 4868, Form 7004, IRS, IRS Extension, need time to file tax, Tax 7004, Tax 8868, Tax Extension, tax4868, Tax8868 on February 15, 2011 by TaxExpert.